This workshop will look at a framework for dealing with risk in challenging times. It will examine growing interconnectedness, accelerating technological change, the unfolding digital revolution, increasing regulatory complexity and changing geopolitical landscape. Using a model developed in The Netherlands, the focus will be on a series of capacities that can find weak spots and enable organisations to act effectively in complex and uncertain environments with resilience. The speaker/facilitator will be Professor Lex Hoogduin, Chairman of the Board of LCH Group, a non-Executive Director of London Stock Exchange Group, and CEO of Global Complexity Network. He will present the model, discuss its merits and then open the session to debate on other solutions used by participants. 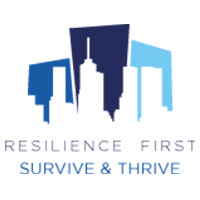 The venue, courtesy of Resilience First partner Alchemmy, will be Alchemmy Consulting, High Holborn House, 52-54 High Holborn, London WC1V 6RL. Timings: 9-11am.